We undertook a global awareness survey and a nationalities survey. 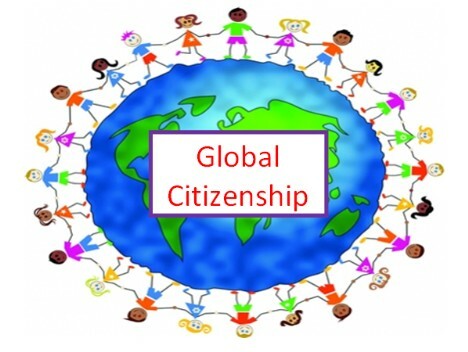 This year there are children from 23 different countries in our school. We held a day of action where every class did projects on where our food comes from. They found out all about food miles and carbon footprints and presented their projects to the rest of the school in May last year. Our schools also joined Recreate to help us source recyclable art supplies for all our art projects. The green schools committee found out about how other countries deal with waste. We also developed a School Code – "Before you finish eating your breakfast in the morning you have depended on half the world" – Martin Luther King. We investigated and made environmentally friendly cleaning products. We introduced a No Cut Flowers policy. A Local Supermarket Survey of the origins of fruit and vegetables in our locality was also completed.